Welcome to the Listen In landing page! 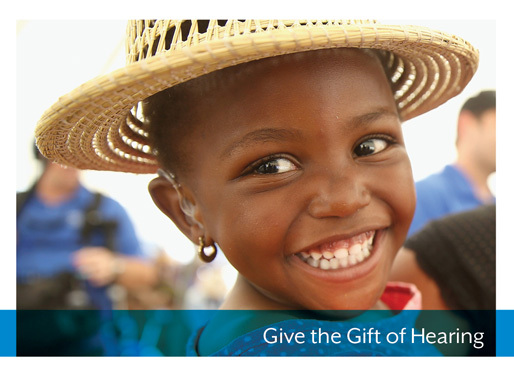 Here, you can help raise funds to provide the gift of hearing to those in need around the globe. An estimated 5 percent of the world’s population - 432 million adults and 34 million children - have disabling hearing loss with the greatest prevalence in low and middle-income populations. The impact of hearing loss not only affects the individual but their family, community, country and the world at large. Founded in 1984, Starkey Hearing Foundation provides the complimentary hearing care to people in need, empowering them to achieve their full potential. Starkey Hearing Foundation has touched the lives of individuals in more than 100 countries worldwide and cared for more than 1.1 million patients. May is "Better Hearing Month" and Audioboom, the leading podcast platform, is teaming up with popular podcasts like Actual Innocence, And That’s Why We Drink, Astonishing Legends, Blank Check, Buried Alive, Casefile, Convicted, Deliberations, Felon True Crime, Fireside Mystery Theatre, InBox, Into The Portal, Mafia, Mission To Zyxx, Space Nuts and SpaceTime with Stuart Gary to raise awareness and funds in support of Starkey Hearing Foundation's global initiative to provide healthcare services for the hearing impaired. Make your tax-deductible donation today to help Starkey Hearing Foundation reach their goal of raising $25,000 during the month of May. The first $25,000 of donations will be matched by our Better Hearing Month Sponsor.